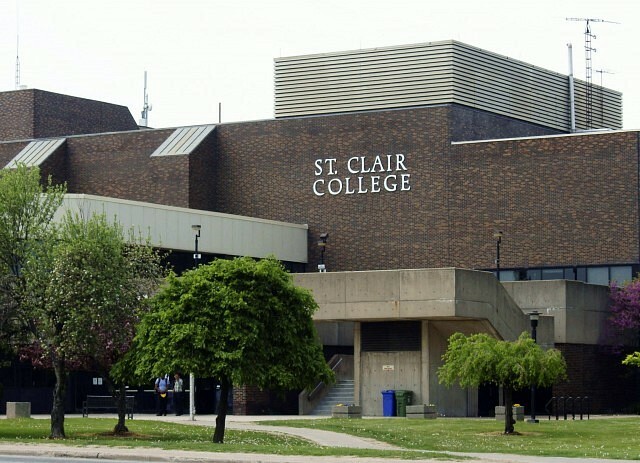 This past September, St. Clair College launched a new Fashion Design program, which they say is thanks to the passion and hard work of two of the city’s pre-eminent fashion designers: Franco Angileri of Franco Angileri Design and Elaine Chatwood of Chatty Collection. “We have been in the industry for years and we know that there is always room for new ideas and young talent who are passionate about this field”, says Franco Angileri, Coordinator of the program. “Both Elaine and I decided to teach in the program along with continuing with our own businesses because we wanted to share our knowledge and bring real world experience to the classroom”. The college says that the new program was full on its first day of classes with 40 students enrolled. Chatwood says when students graduate from the two year program they will have lots of opportunities for employment. “The industry goes way beyond design and includes event planning, costume design, tailoring, pattern maker, stylist, buyer, trend and colour forecaster, tailoring, retail marketing, textiles and more”. First year student Sara Guzzetti has wanted to design her own clothes since she was a little girl. She completed a degree in visual arts and supply teaches for the Windsor Essex Catholic School Board, however she still dreamed of having the chance to study in the fashion design industry and didn’t want to leave Windsor to do so. “When I heard that the Fashion Design program was starting at St. Clair I enrolled right away”, says Guzzetti. “Faculty are incredibly knowledgeable and while I have never sewed before coming into the program I have already made my first piece of clothing”. When Sara graduates she hopes to combine her desire to teach with her new found design skills. Taking the knowledge and skills students receive in the program and becoming an entrepreneur is also something students can aspire to. “If they have the talent and a solid foundation in all aspects of the business they will better appreciate what it takes to become a designer where they can promote their own work”, says Angileri. “It takes years of study, almost like an apprenticeship, before people who aspire to be a recognized designer will see their creations on a runway. When that happens it is certainly very gratifying”. The new labs to support this program were built in the Ford Centre for Excellence in Manufacturing. The sewing lab contains 26 industrial sewing machines, five industrial irons along with other industry equipment along with a design lab that supports classroom lectures.